Biography: Dr. Rudrani Banik, MD, is a board-certified ophthalmologist and fellowship-trained neuro-ophthalmologist. She is the founder of Envision Health NYC, a practice specializing in vision, neurological conditions and migraine headaches and is an associate professor of ophthalmology at Mount Sinai Icahn School of Medicine. Banik is a member of the American Board of Ophthalmology’s Exam Development Committee and contributes to setting the standards for board certification. She has committed herself to 13 years of training at some of the finest medical institutions like Brown University and John Hopkins, allowing her to author numerous articles and present at national and international meetings. 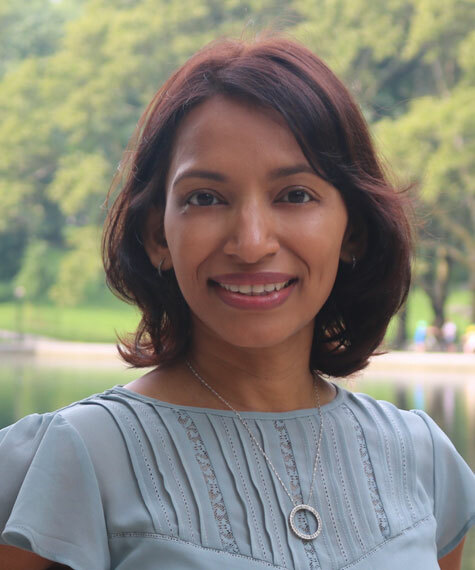 Banik has been called on as an expert on multiple media outlets including, The New York Times, “Good Morning America,” “CBS Evening News” and The Washington Post. She has been voted New York Magazine Best Doctor and Castle Connolly Top Doctor in 2017 and 2018.